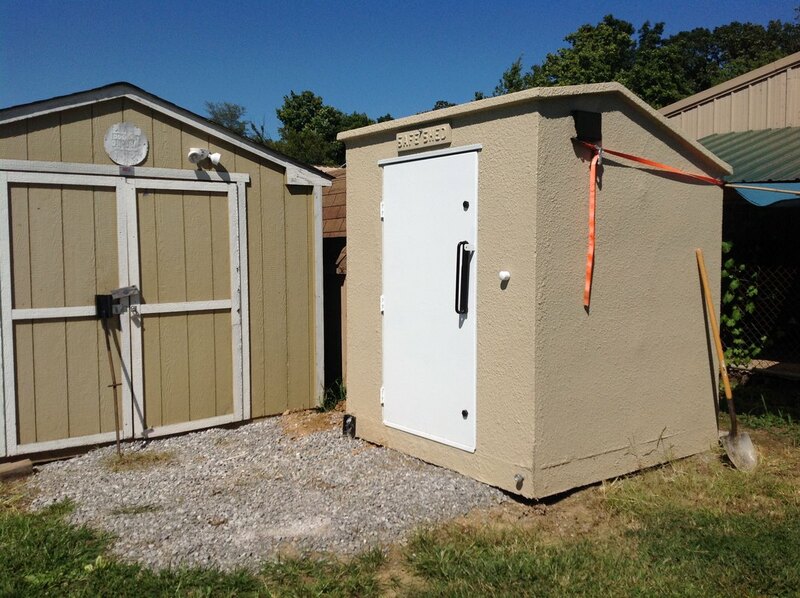 Small Family Storm Shelter - Safe Sheds, Inc. 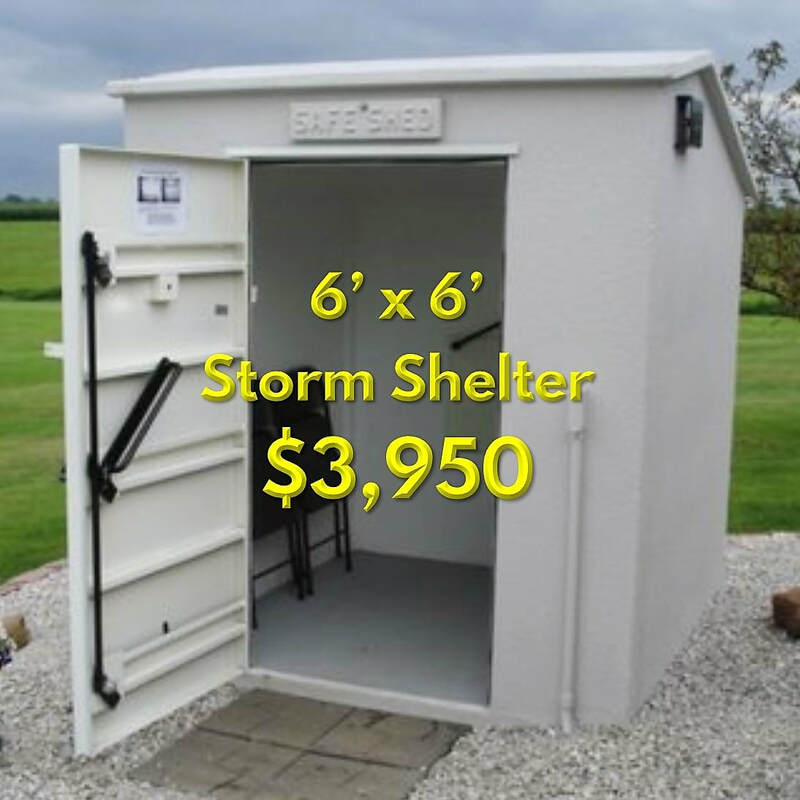 This storm shelter is perfect for small families or homes without a lot of yard space. It's built to the same standards as our larger model and meets all the FEMA specifications to protect your family in EF5 tornadoes. And it's budget-friendly, too! With a 6" concrete floor, you can set this 5.5 ton storm shelter directly on the ground or a gravel pad, saving you hundreds of dollars. Because it's outside your home or garage, you don't loose valuable room for your car and everything else you need to keep protected. Quickly installs on bare ground or gravel pad - no expensive concrete pad needed! We price our shelter anchors separately because the type of anchor we recommend depends on the surface you'll be setting your shelter on at your home. ​Please visit our "Anchoring" page for more information, pricing, and photos! Visit our "Options" page to make your shelter perfect for your family's emergency use. Add an Emergency Escape Opening or add a High Security Padlock to secure the supplies and equipment you store in your shelter. "I want to thank your company for excellent service and an outstanding product."